I've been traveling for almost a month now, with my handy iPad and a whole lot of ebooks and digital comics as my primary entertainment vehicle. So I figured: "why not start a new comics-related feature for Nerds of a Feather? Something (monthly) to complement Mike's awesome (weekly) Thursday Morning Superhero series!" Of course, since I sort of fell off the comics wagon a couple years ago, I was starting anew; and since I wouldn't be able to keep up week-to-week, I could just pick and choose interesting books from the last few years. I also decided to make a game out of it. Magneto has always been my favorite Marvel villain, in large part because he’s so relatable. You might be horrified by his methods, but you understand where he’s coming from. Part of you cheers him on; the rest of you hopes Charles Xavier can bring him to his senses. The new limited series appeals to the first part. It’s classic revenge-noir, where a force of nature wreaks horrible vengeance on those who deserve it. Cullen Bunn's writing is tight and Gabriel Hernandez Walta's art is nicely stylized. 5/5: highly recommended. Brass Sun is stylish dystopian SF about a steampunkish society and a nascent rebellion against its theocratic religious order. The concept is sound and the art is quality, so I’m curious to see where things lead. Unfortunately, the first issue is weighed down from pacing issues, stilted dialogue and thin characterization. 3/5: just good enough to read the next issue. Scott Synder and Sean Murphy’s underwater SF adventure is one of the most talked about comics in recent memory, and issue #1 doesn’t disappoint. The writing is unusually fluid and the art has a pencil-heavy feel that suits the subject matter perfectly. I was, however, more than a bit annoyed that Snyder resorted to the “scientist adventurers gathered together by mysterious patrons” trope. I’d thought that AVP and Prometheus had killed that trope dead. 4/5: strong overall but not as good as it could have been. Another one I had high hopes for. Unfortunately, this steampunk-y/post-apocalyptic-y/Warren Ellis-y Western is a hot mess, weighed down tropeyness, lazy ultraviolence and one of the most egregious and annoying infodumps I’ve encountered in a long while. East of West #1 feels like a lot of other comics you’ve read, but diluted by time and repetition of the same themes over and over again. 2/5: some limited potential. I’ve never had much love for Hawkeye, but this book has gotten so much hype that I had to give it a shot. And I’ll give it this: Hawkeye a real departure from the Big Two way of doing things, even more than Magneto is. I mean, a fragmented narrative, no spandex action AND a story that’s pretty much about ordinary people struggling to get by? Progressive as that is (and it is), the storytelling doesn’t quite live up to the ambition—or the art, which is crazy good. Huge potential, not quite realized yet. 4/5: strong overall but could still be better. 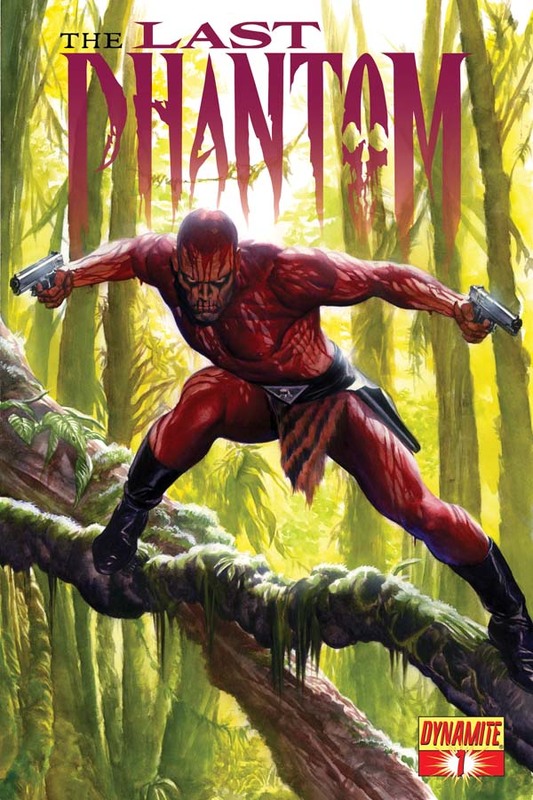 I grew up with the Phantom—well, with Fantomen, the Swedish version. But everyone knows that’s the best one (sorry, Lee Falk). This 2010 revamp gives the classic hero the “Vertigo grit” treatment, making it feel like a pulpier version of Scalped or Unknown Soldier. Unfortuntately, the book retains the Phantom’s central problematic: the hero is still a white man protecting an otherwise helpless African country. Why not make him black or mixed race? Seems like a missed opportunity to really update the franchise. Otherwise this is a decent enough read. 3/5: just good enough to read the next issue.